Readers of Family Business Review are well aware of the prevalence of family enterprises around the world, but are they also aware of the prevalence of addiction in family enterprises? In our society, quietly in the background, reliance on addiction and drug abuse is widespread, pervasive, and common. Based on interviews with more than 43,000 adults in the United States, researchers at the National Institute of Alcohol Abuse and Alcoholism (2009) reported that 3 in 10 drink at levels that put them at risk for alcoholism, liver disease, and other health and emotional problems. Thus, it is important to understand the silent growth of addiction and drug abuse in society, antecedent factors, and consequences for family enterprises. This article discusses the available research on the prevalence of addiction in the United States, reports the findings of a study of the prevalence of addiction in one consulting practice, and calls for more research on this important topic. The impact of alcoholism and addiction in the United States is significant. The cost of excessive alcohol consumption in the United States came to $223.5 billion, according to a 2011 Centers for Disease Control study. The primary cost (72%) came in lost workplace productivity, followed by health care payments for problems caused by excessive drinking (11%), law enforcement and criminal justice expenses (9%), and cost of alcohol-related motor vehicle crashes (6%). The 2010 National Survey on Drug Use and Health by the Substance Abuse and Mental Health Services Administration (2011) of the U.S. Department of Health reported that in the month prior to the survey, 58 million Americans aged 12 years and older or approximately 23% of the population older than 12 years participated in binge drinking (five or more drinks on a single occasion) and 23 million used illicit drugs. Although the prevalence and impact of alcoholism and addiction on society at large and business are well known, there is little research to describe its impact on family enterprises. It is difficult to assume that family enterprises would entirely escape the damaging effects of alcoholism and/or addiction both in the family and business systems. However, more systematically derived evidence has been lacking, though some practitioners such as Bork (1986a, 1986b) and Kaye (1996) have written on the topic since the 1980s. Based on their review of more than 2,200 family enterprise articles published between 1985 and 2010, James, Jennings, and Breitkreuz (2012) observe the increased dominance of research from business perspectives and the near disappearance of family perspectives, despite compelling arguments in favor of the need to better understand the “family” dimension of family enterprises. Amid such trends, the neglect of research on addiction is not surprising. However, addiction and abuse have a significant impact on the survival of family enterprises. This article aims to raise awareness of the extent of prevalence of addiction and its impact on family enterprises, thereby encouraging research in this direction. A host of issues related to the long-term sustenance of family enterprises, including succession, have long dominated both scholarly examination and practical application in family enterprises. A prominent concern has been how to maintain, in later generations of a family business, a level of commitment similar to that found in founding generations. Based on the authors’ perspectives, one of the factors implicated in lower quality management in later generations is addiction. One of the paradoxical findings of research into addiction is that it may be to a significant degree a consequence of family business success as well as a hindrance to the continued effective operation of a family enterprise. Substance use and abuse have been found to be more prominent among youths of upper socioeconomic status than in youths from economically deprived, inner-city neighborhoods (Luthar, 2003). Among the likely explanations for this phenomenon, researchers have suggested that potential causes include pressures to achieve and isolation from parents. Luthar believes that children of high-achieving parents are subjected to higher expectations. At the same time, specifically because of parental achievement and subsequent demands on parental time, children lack access to sufficient time with the parents. As a response to the combination of greater parental expectation and lower parental attention, she suggests children often turn to drugs and alcohol. Among business families, pressures to achieve and pressures on parenting time commonly coexist. In this way, the success of a family enterprise potentially breeds within itself the seeds of its later difficulties when it comes to transition and succession. When it comes to addiction, these seeds bear fruit in a particularly potent and poisonous fashion. Periodically, calls have been made to better understand the role of family in business from different perspectives. This has taken the form of a suggestion to include family effectiveness as a key variable in the study of business effectiveness (Dyer & Dyer, 2009). More broadly, commentators have requested articles that make substantial contributions to theories of family enterprise (Reay & Whetten, 2011). We propose that research examining the impact of addiction on family effectiveness and, in turn, business effectiveness responds to both of these appeals. Addiction can be a powerful factor when it comes to the effectiveness of a family enterprise. Indeed, when addiction resides in the executive suite or among the key decision makers, it is often a definitive contributor to the ultimate failure of a firm. It is asserted here that addiction is unlikely to carry any positive benefits for the long-term effectiveness of a family firm. The consequence of addiction behavior is often seen when communication breaks down. As Bork (1986b) noted, the presence of an addict acts to divert, shrink, and sever lines of communication among family members. This affects both family members who are active in the business as employees and those whose role is restricted to ownership. The situation is particularly difficult if the addict is the founder, patriarch/matriarch, or leader of the business. When a family firm member abuses alcohol or drugs, the power and influence of the family often protects or enables the individual by not allowing others to intervene and, in some cases, even denies the destructive effects on the individual, the family, and the workplace. A family member in the business may attempt to address a family member’s addiction but may not have the power to establish meaningful consequences or require the individual to receive treatment. This scenario can negatively and persistently influence the overall culture of the company in a manner considerably worse than may be found in a publicly owned firm. In publicly owned firms, leaders are more likely to be chosen on merit than on family ties. Similarly, if poor choices and actions because of addiction harm the company’s culture, they are more likely to be removed. In some family enterprises where substance abuse is present, the entire family will collude and deny that the addiction is real, avoid talking about it, and protect abusers from consequences. This permits a culture-damaging leader to remain in a position of influence, leading to negative effects on corporate culture. It is notable that many family business consultants are retained to work with a family where conflict is present. Thus, it is no surprise that relationship conflict was prevalent in most cases, followed closely by the identified emotional disorders. The high percentage of cases with addiction issues was a surprise. It was interesting to note that addiction was a culprit in 90% of consulting engagements that did not achieve the predetermined goals as it was a root cause of poor communication and trust issues within and among family members. This finding is supported by Kaye (1996), who reports discussions with three noted family business consultants with similar preponderances of addiction in their practices. However, numerous conversations with professional family business consultants indicate that few suspect the presence of addiction is as high as this study suggests, reinforcing the need for scholarly attention on addiction. Alcohol and drug abuse and dependence affect a large number of individuals across a diverse socioeconomic demographic. When addictions are present, they have a dramatic and significant impact on families and employers. When viewed in a knowledgeable light, addictions can be approached and treated like a number of other issues. However, denial and lack of knowledge make treatment difficult. These obstacles affect not only families but also professional advisors. This article benefited greatly from the feedback provided by the Family Business Review editor Pramodita Sharma, associate editor Trish Reay, and assistant editor Karen Vinton. Bork, D. (1986a, December). Drug abuse in the family business. Dyer, W. G., Jr., & Dyer, W. J. (2009). Putting the family into family business research. Family Business Review, 22, 216-219. James, A. E., Jennings, J. E., & Breitkreuz, R. S. (2012). Worlds apart? Rebridging the distance between family science and family business research. Family Business Review, 25, 87-108. Kaye, K. (1996). When the family business is a sickness. Family Business Review, 9, 347-368. Luthar, S. S. (2003). The culture of affluence: Psychological costs of material wealth. Child Development, 74, 1581-1593. National Institute of Alcohol Abuse and Alcoholism. (2009). Rethinking drinking: Alcohol and your health (NIH Publication No. 09-3770). Bethesda, MD: Author. Reay, T., & Whetten, D. A. (2011). What constitutes a theoretical contribution in family business? Family Business Review, 24, 105-110. Substance Abuse and Mental Health Services Administration. (2011). Results from the 2010 National Survey on Drug Use and Health: Summary of national findings (NSDUH Series H-41, HHS Publication No. SMA 11-4658). Rockville, MD: Author. James Olan Hutcheson is the founder and president of ReGENERATION Partners, a consulting group devoted exclusively to working with family firms. He is a Family Firm Institute Fellow and recipient of the Richard Beckhard Award. Dennis Jaffe, PhD, is the founder of Dennis Jaffe Consulting and a professor at Saybrook University. He is a Family Firm Institute Fellow and recipient of the Richard Beckhard Award. 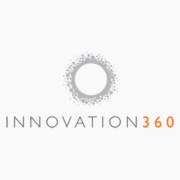 Kevin Gilliland, PsyD, is the founder and president of Innovation360®, a mental health treatment program based in Dallas, Texas. 71Family Business ReviewHutcheson et al. Creek Boulevard, Suite 300, Dallas, TX 75219, USA.